A new creation. Of sorts. It’s no longer new to us, because we finished this DIY project many months ago. But it is a project that created something new out of some things old. It took months to complete. It involved washing out coconut milk cans after a homemade Thai meal; painting the cans inside and out; picking out an old cookie sheet to use for the project and collecting magnets to hold the cans to the old cookie sheet. 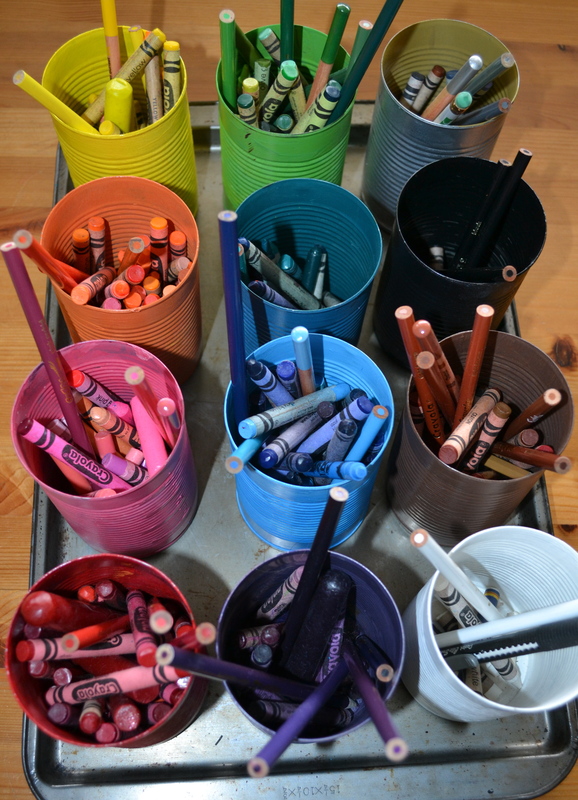 Then, gathering some of the multitude of crayons and colored pencils we have to fill the cans with their respective colors. 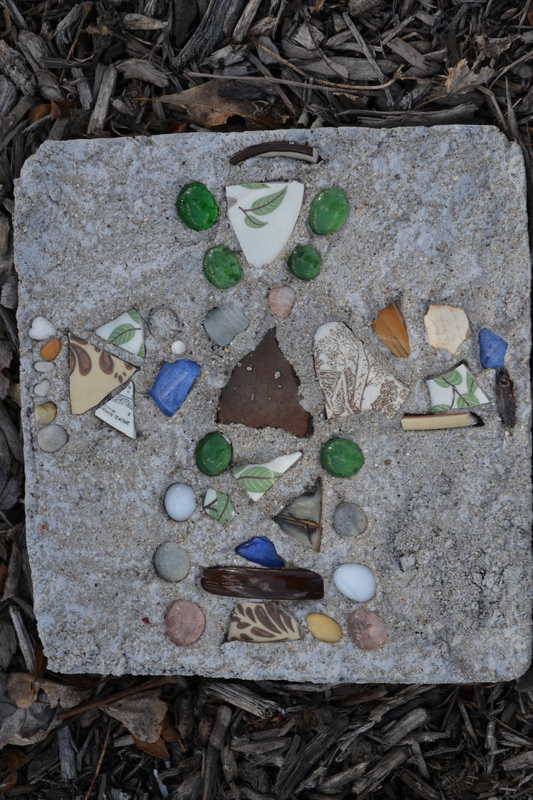 For the artistic types in our house, the project was fun to create, and continues to inspire creativity. We love colors here (again, the artistic types at least), and we love the multitude of colored pencils and crayons. And I love creating something new out of something old. I wonder if God finds similar joy in creating something new out of us, when we allow him to do so?